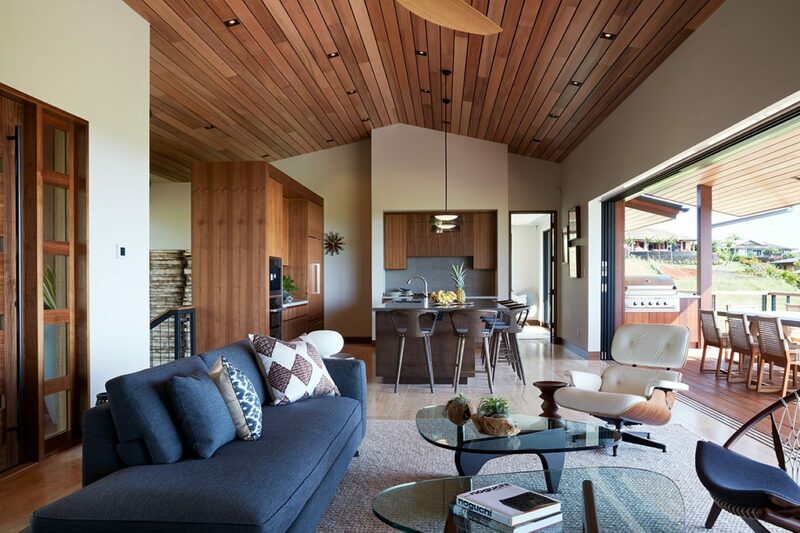 Our directive as interior designers was to take this mid-century modern-inspired model home, and bring it forward, appealing to buyers desiring a more contemporary version of Kauai’s laidback lifestyle. 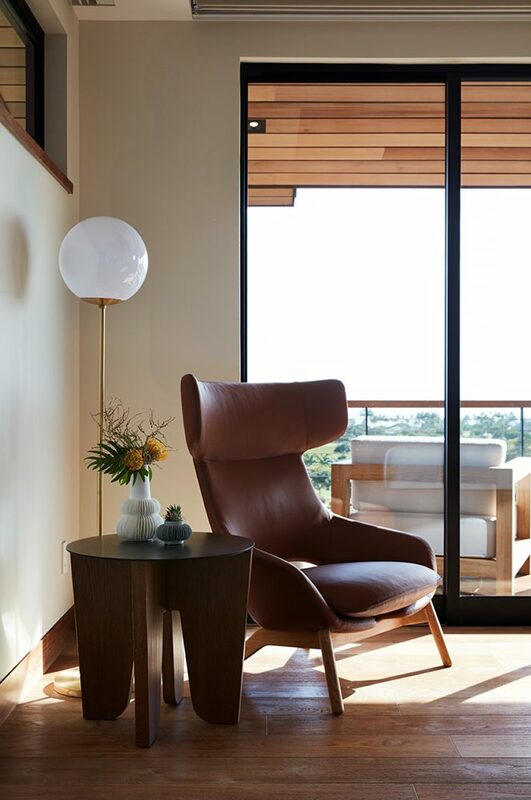 The interior design took its cues from the home’s Vladimir Ossipoff-inspired mid-century architecture. 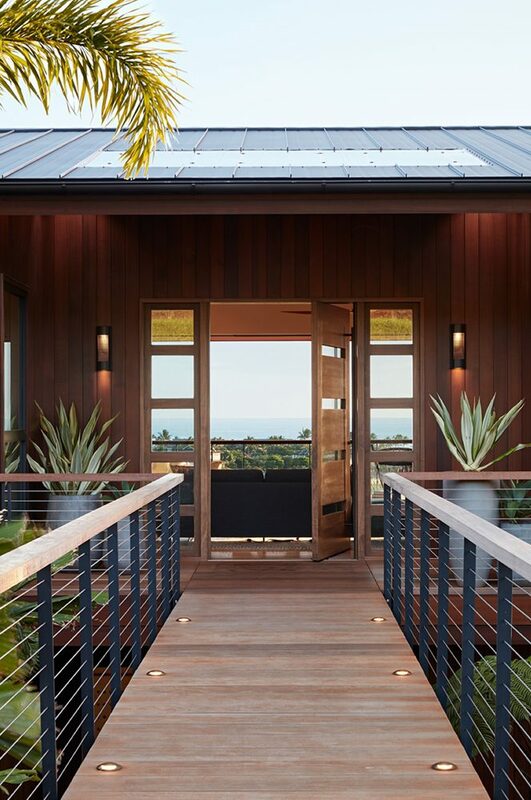 Ossipoff, one of Hawaii’s most renowned architects, was a master at designing with purpose and restraint, while living by the motto “design is in the details.” We approached this home in much the same way. 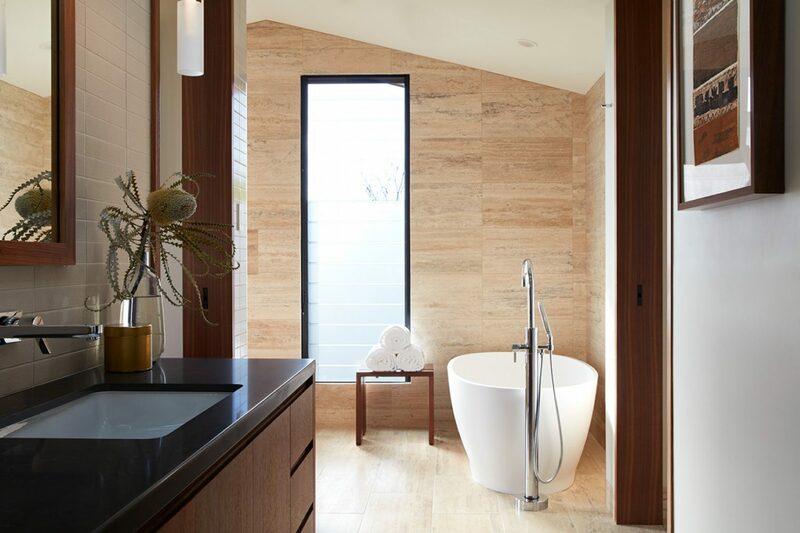 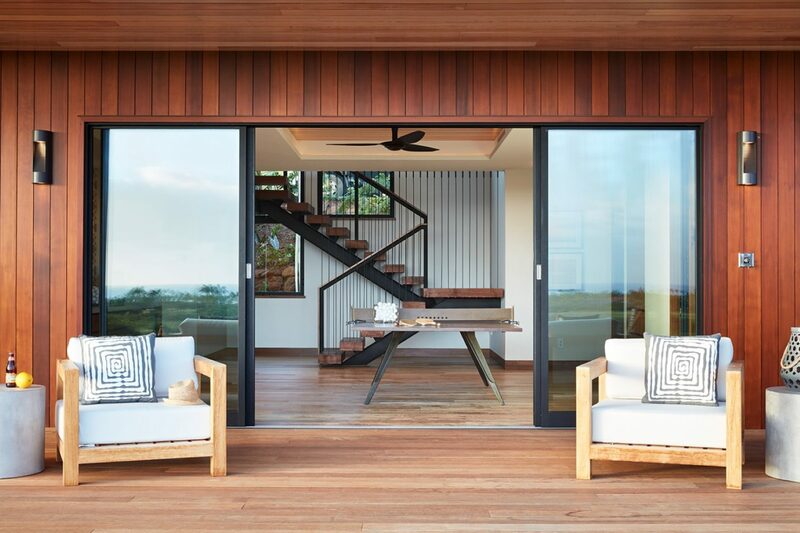 Expansive lanais with deep overhangs are one of the primary “memory-makers.” Pocket doors open to connect the lanais with the primary living spaces. 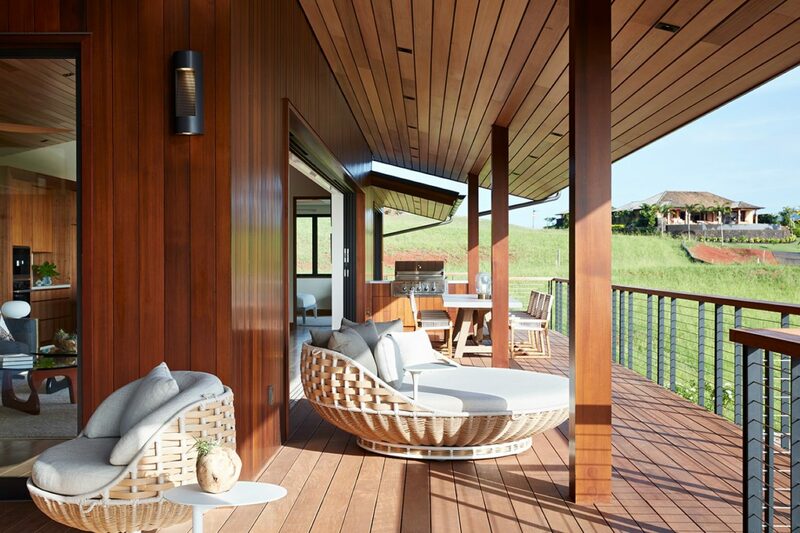 The dining lanai encourages year round outdoor meals, while the lounging lanai features large punee’s on which to relax and take in a sunset. 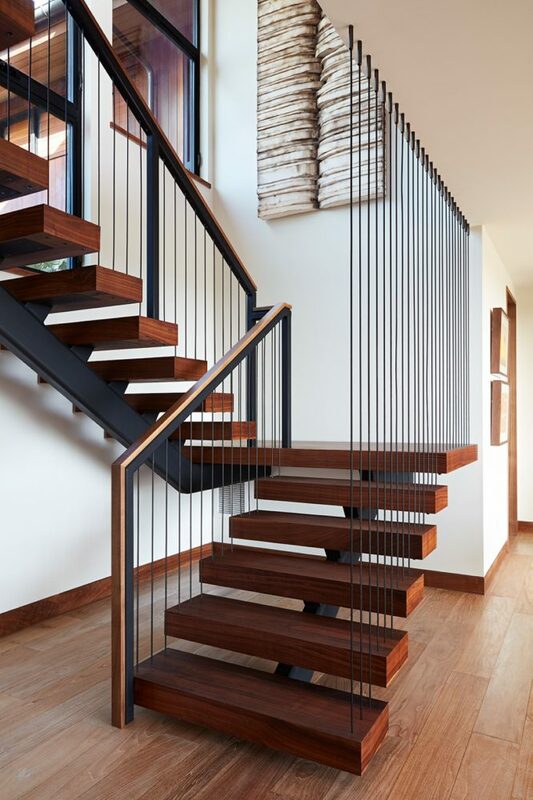 Creating a blend of classic and modern was achieved through finishes and furnishings. 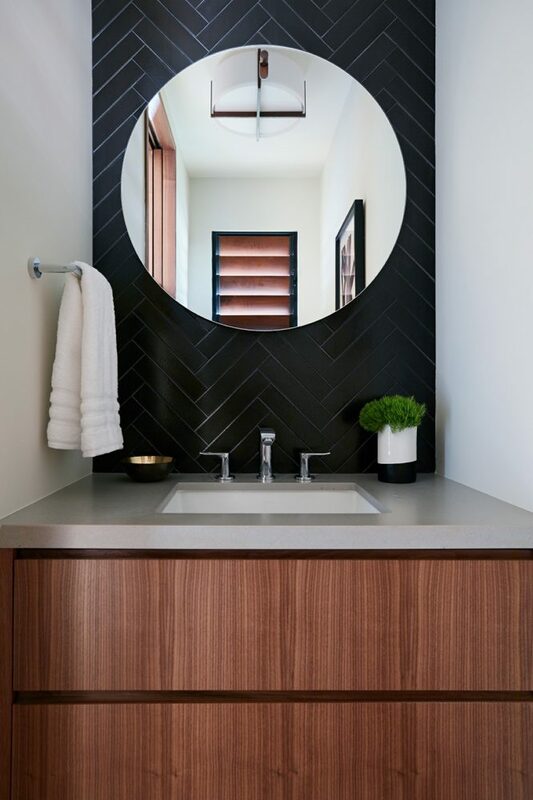 Custom walnut cabinetry and doors highlight the wood’s ability to look both old and new. 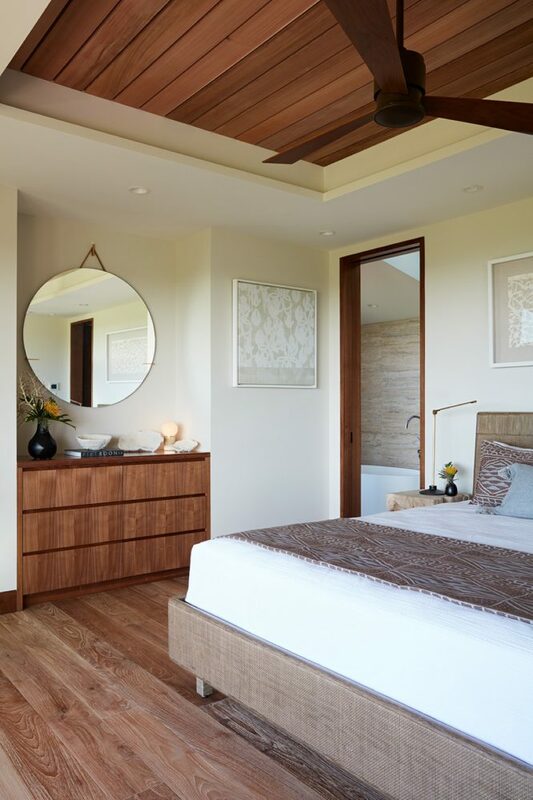 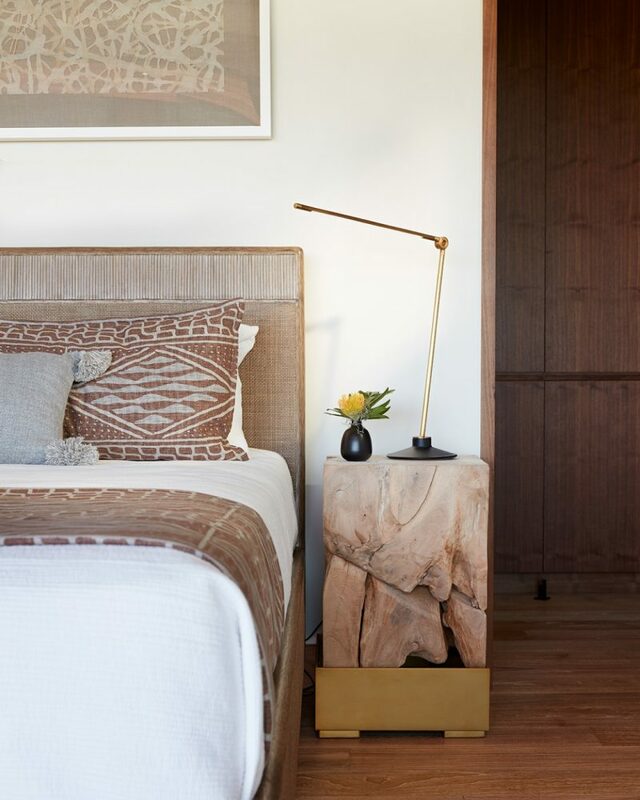 Each bedroom was designed to reflect traditional Hawaiian design while maintaining a contemporary aesthetic. 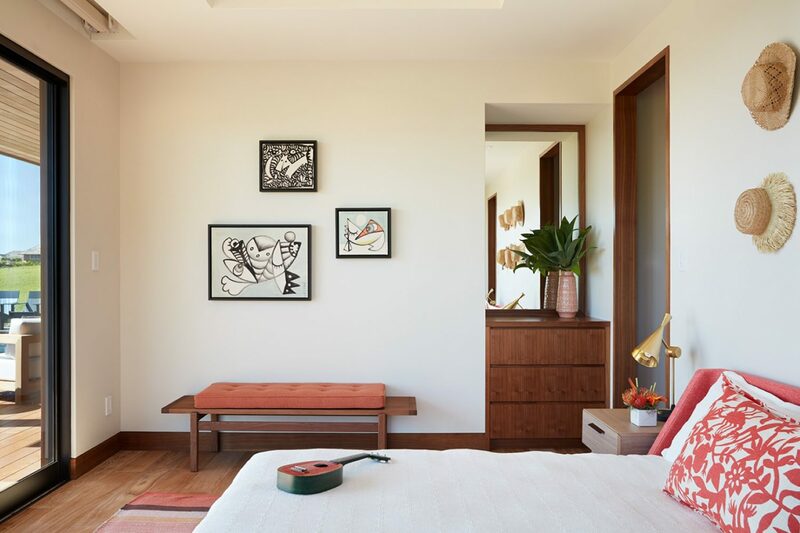 Artwork and furnishings feel distinctively Hawaiian, but are used in ways that feel original and new. 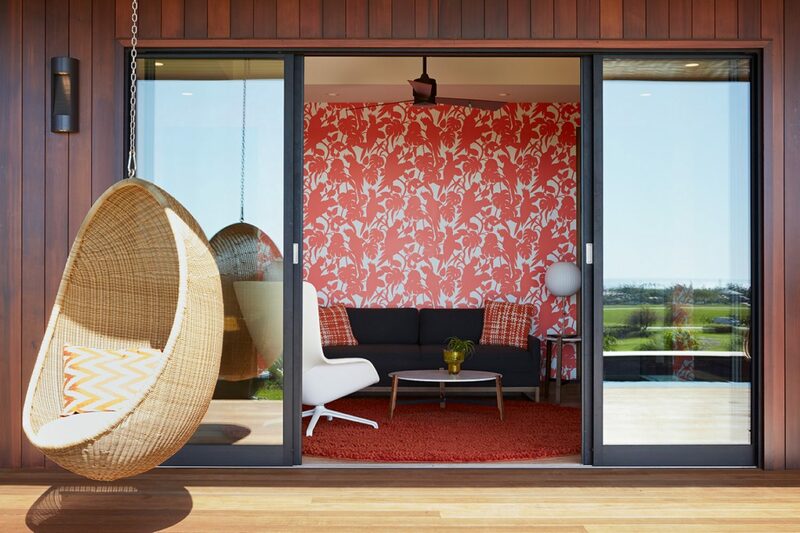 The designers also created spaces that didn’t take themselves too seriously. 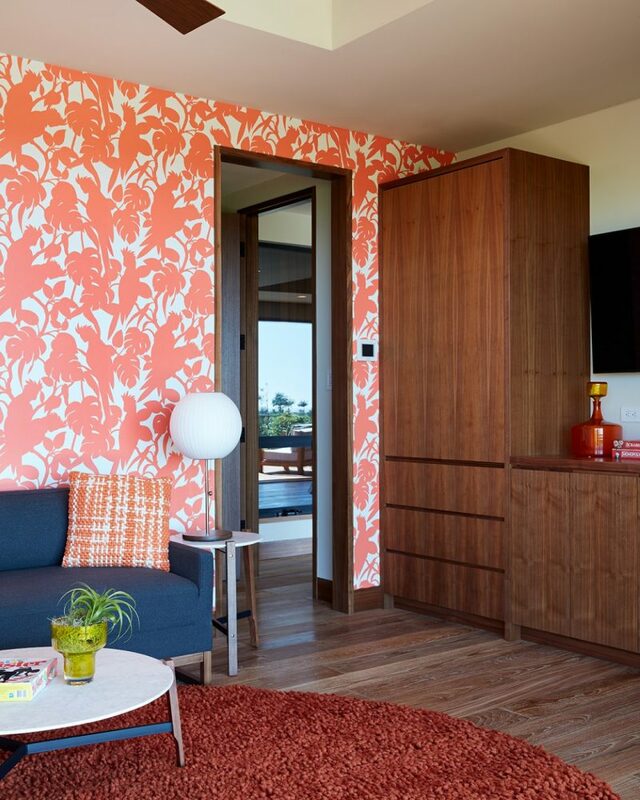 The lounge uses a bright Florence Broadhurtst-designed bird motif wall paper to adding playfulness and whimsy to the space. 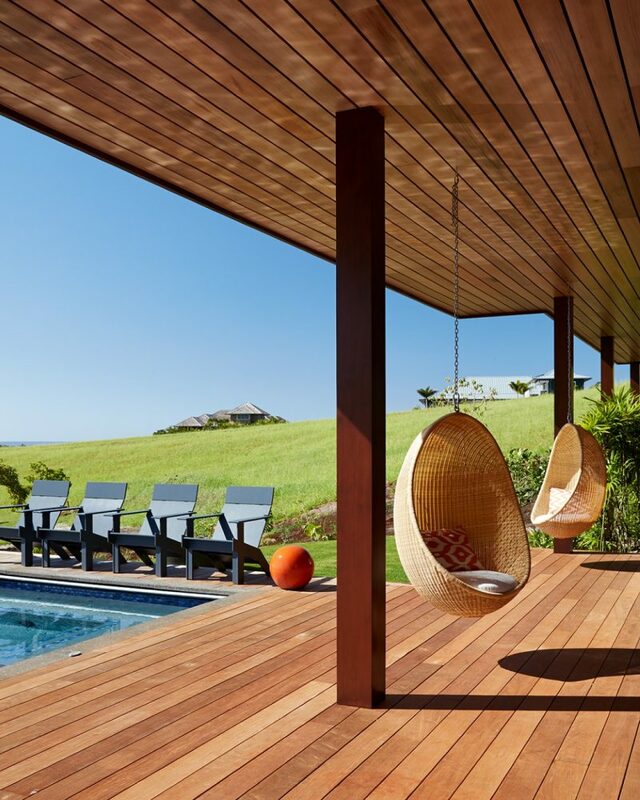 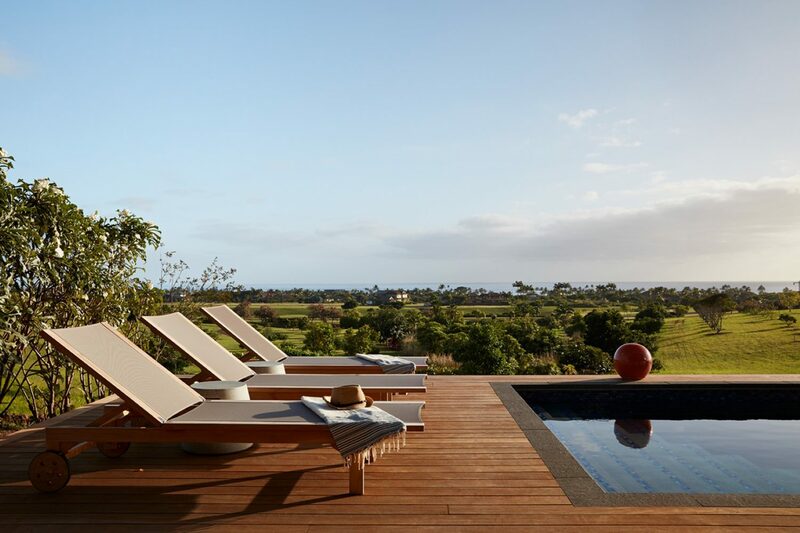 Just outside, a pair of bird cage-inspired hanging chairs overlook the pool, rolling hills of South Kauai and the ocean beyond. 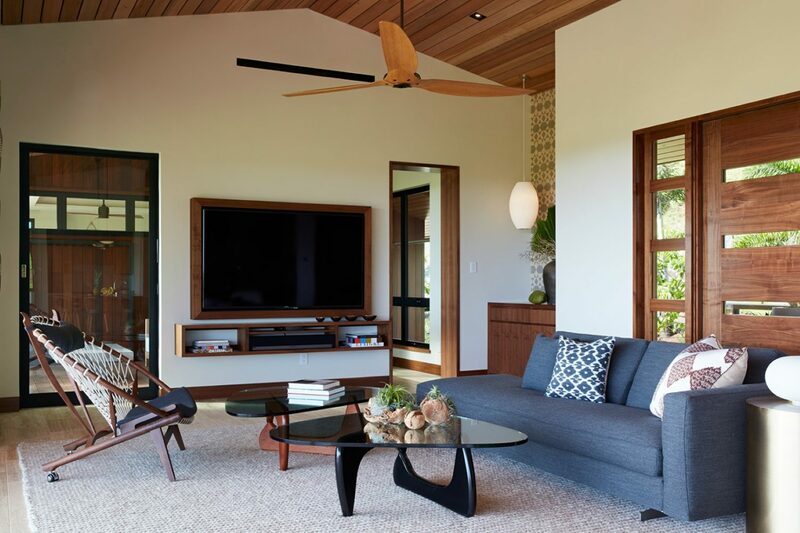 The design of this Kauai home meshes old with new, indoors with outdoors, and playfulness with sophistication, in a nod to Ossipoff.